It might be summer in Melbourne over the festive season, but that doesn't mean ice skating is reserved for the Northern Hemisphere's cooler climates. 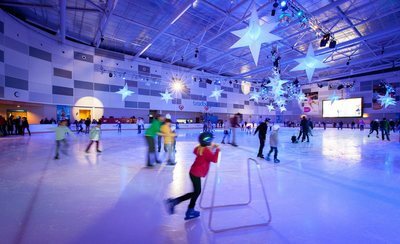 At O'Brien Group Arena (formally Medibank Icehouse), your family can take advantage of a fun series of ice skating sessions at Dockland's indoor ice sports and entertainment centre. Whether your children under the age of 8 are trying their feet on the ice for the first time, or are well versed in the art of ice skating, they will have a ball at O'Brien Arena. Your toddlers get to experience a fun snow play area, and your under 8's will enjoy the coolest spot of the holidays with music and fun games on the ice. 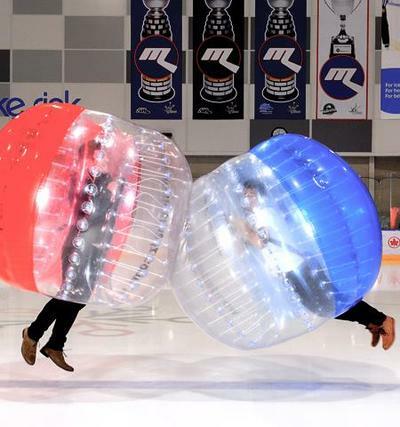 This summer will see the return of 'Bumperballs on Ice', in which your kids age 12 years and upwards are strapped into an inflatable bubble suit. Once bumper-suited up, your kids can roll, bounce and giggle on the ice rink, all the while participating in a crazy game of soccer. Free skating lessons are available for your children that are new to the ice. If your kids are proficient enough to skate forward, how about learning to move backwards on the ice? Free backwards skating lessons are available, too. Skating lessons are free with entry fees, and are available on the hour from 11am to 2pm every day. When: Check HERE for public skating session times.